This combines excerpts from several parents of our students. 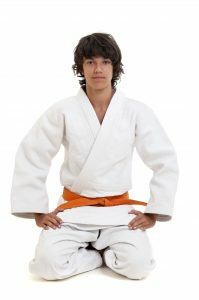 It wasn’t long after my son started going to PRO Martial Arts that I started to notice a change. He was a typical 10-year-old kid. There were times that I wanted to get his hearing checked. It seemed like I was moving my lips, and nothing was coming out. He wouldn’t so much as turn his head when I was speaking to him. I had learned from my oldest son that the influences he got at school were constantly working against me. Peer pressure and trying to look cool are the norm for kids of this age. He had now been enrolled in the basic PRO Martial Arts program now for just 2 weeks. This is when I noticed. We were riding in the car and I asked him how his day went. And then he ANSWERED me. Thinking it was a fluke, I asked him another question and another. Each time he turned his head, looked at me and answered me in a respectful tone. It was then that I knew that that this program was really making an impact. Over time the changes in him were more apparent. We say his grades improve, he was more respectful to others and he had an attention to detail that allowed him to focus on goals and look forward to completing them. So, is he the perfect kid now? No, but I would not trade the new version for who he was just one year ago. When I grew up we had values and respect for our elders. It is nice to see that my son is growing up with the same values and respect.